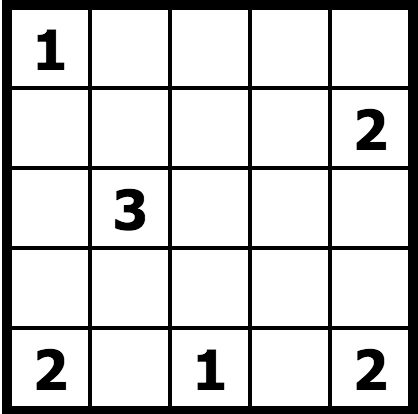 Can you solve this mini Nurikabe logic puzzle by filling in all the water surrounding the islands (read the How To Play note)? Cells containing numbers are on islands and stay white. White islands must have a number on them somewhere. Numbers tells the number of continuous white cells on an island. Each area of white cells contains only one number in it and they are separated by green water cells. Green water cells are linked to be a continuous body of water connected vertically and horizontally. Green water cells cannot be linked to be 2x2 square.